Ellensburg Washington, March 28, 1961. It’s an overcast Tuesday afternoon just west of Ellensburg where we find a westbound freighter brought to a stop to receive train orders. We had been on a family trip over to Grand Coulee Dam and on the return trip I spotted this power pack just off the highway. My long suffering Dad turned our vehicle around at the first opportunity. I quickly went into the station to find out what was happening and discovered the operator was just finishing his read back of a set of orders for the patiently waiting electrics. 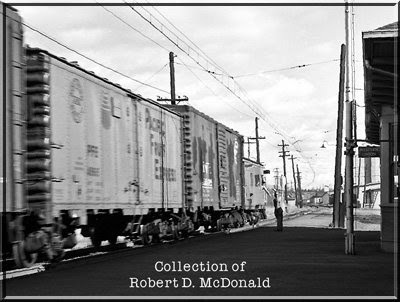 Four General Electric box cabs and three Electro Motive Division geeps will soon be heading for Black River Junction. When sitting it out like this, all you hear is blowers and fans with the occasional rumbling of the air compressors. The fireman watched me venture out into rattlesnake country to line up my shot. 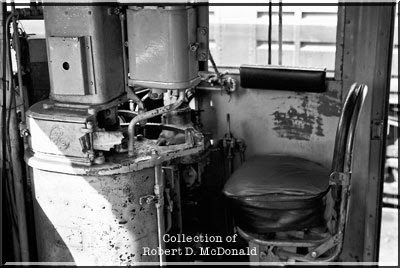 E39B was among a handful of locomotives fitted out with the “Wylie Throttle,” the brainchild of Laurence Wylie, Chief Electrical Engineer. It is said that Mr. Wylie successfully argued to corporate that diesels operating in electric territory were helpers! And once that argument was won, he invented the electric-diesel multiple unit control throttle. The electric throttle (some 32 notches) was mechanically attached to an eight-notch diesel throttle. As the sweeping arch bar electric throttle was eased along, the linkage to the diesel throttle moved a proportional distance! The engineer also had the option of independent diesel control simply by removing the linkage! 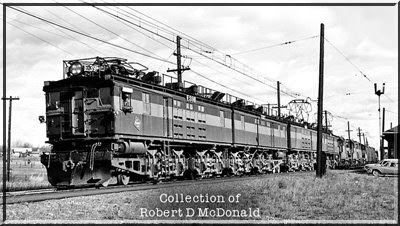 The “Wylie Throttle” was installed to the Little Joe Fleet and five of the General Electric box cabs four unit sets: E39, E47, E50, E22, and E25. As the train began grumbling out to the west, it suddenly dawned on me to get a shot of the operator handing up a copy of the orders to the conductor riding in the hack. Railroad Stuff: Milwaukee Railroad E39B (C+D+A), 3,000 hp, nee 10232A EF-2, built January 12, 1920, renumbered E39A March 7, 1946. Rebuilt as EF-5 in 1950’s. Nice post. 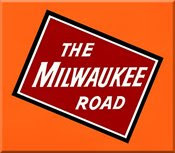 I have not seen too many E-burg Milwaukee photos.